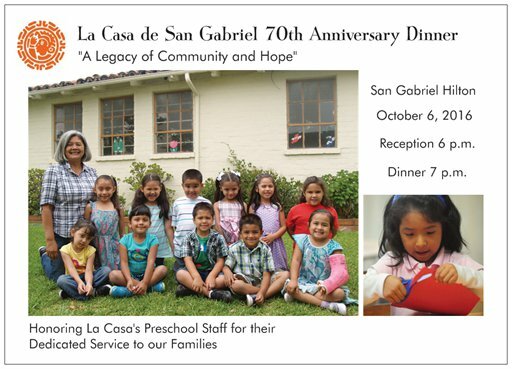 On Thursday, October 6, La Casa will celebrate our 70th birthday and honor our preschool staff. The annual awards dinner is being held at the San Gabriel Hilton. This is our big fund raiser! Please join us and bring some friends. Purchase tickets online or call the office at 626-286-2144. Bluejay Lifeline and prepaid cell phones for underserved communities are available each Friday morning at La Casa. 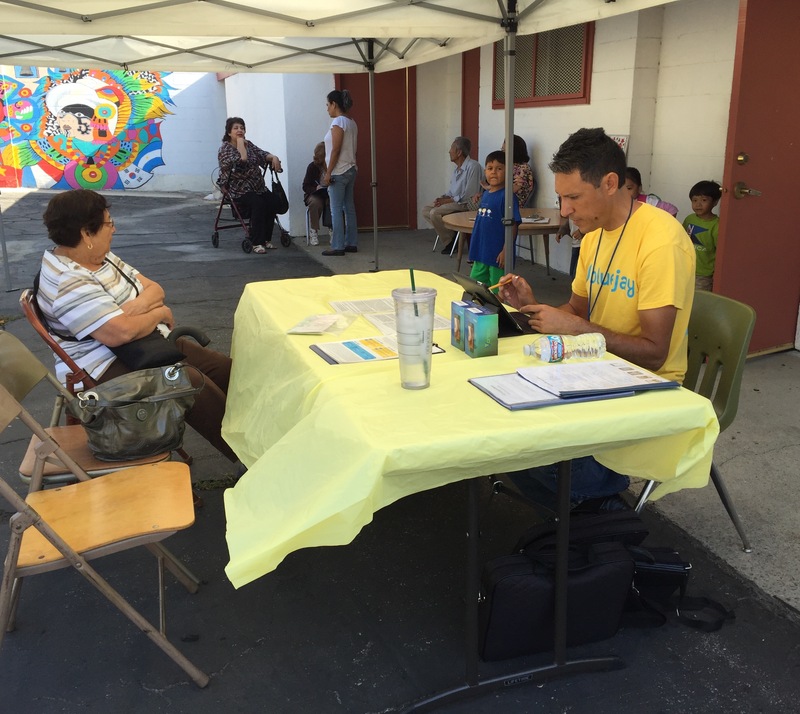 Enrique Ramirez (pictured here) helps people determine if they qualify for the phones. 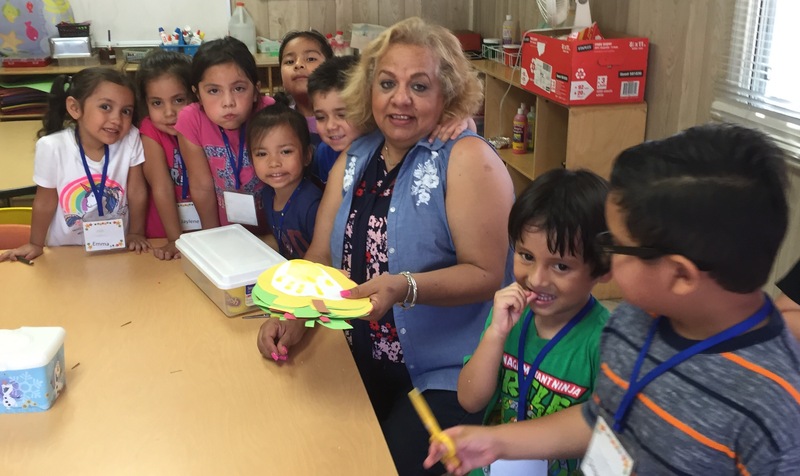 La Casa Preschool classes are full, with 48 children enrolled. School starts at 8:30 A.M. with breakfast and ends at 12:30 P.M. after lunch is served. Some children stay until 3:00 P.M. for the extended day program. Miss Dolores’ class is pictured here.